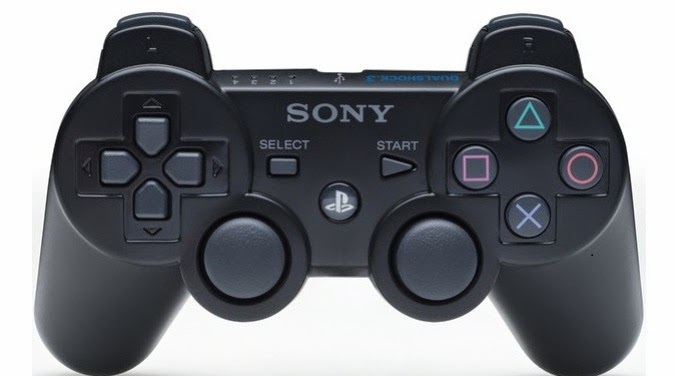 The DualShock 3 Joystick PlayStation 3, can be recognized by devices with Android. Thanks to the app Sixaxis Controller, the owners of the console can use your favorite joystick on a smartphone or tablet. The trick is simple, but requires the device with Android has root. See how. Step 1: Download the app Sixaxis Controller. Step 2: Connect your DualShock 3 control via USB cable to your PC with Windows or Mac. Step 3: Install the Sixaxis Pair Tool program on your PC or Mac is The same can be downloaded from the developer's website. When you finish installing the software, start it with the joystick plugged into the computer. Step 4: a small window with the information "Current Master" and "Change Master" appears. "Current Master" is the Bluetooth address of your PlayStation. What we will do is replace the Bluetooth address for the PS3 from your smartphone or tablet. Thus, the control will "think" that is paired with your Playstation 3, when in reality, it will be your smartphone. Step 5: In the "Change Master" field, type the address of your Bluetooth smartphone or tablet. If you are unsure, open the application Sixaxis Controller. The address of your Android device, will be located at the bottom of the screen. Step 6: Now click on "Update" button. The process takes less than a second. When finished, the two fields are equal and you may now disconnect the control of the USB port. Step 7: On the Android device, the "Sixaxis Controller", tap the "Change IME" application button to change the input method. In the window that appears, tap the "Sixaxis Controller" option. Step 8: Tap "Start" to start the application to search for the DualShock 3. Step 9: Finally, press the "PS" button of the Dualshock 3 and its control will work on games that support joysticks on Android. In some games, the commands can be mangled, or worse, even work. The solution is an adjustment in the Sixaxis Controller app that lets you configure virtual buttons to match the buttons on the DualShock 3. See how this magic is possible. Step 1: Take a screenshot of the game. Step 2: In the Sixaxis Controller, tap the menu symbolized by three points. A menu will open with more settings. Step 3: Tap "Touch Simulation" option. Step 4: Next, tap "Edit Profiles". Step 5: a screen with just a written sentence will appear: "Double tap for menu ...". Double-tap the screen to a settings menu appears. Step 6: Tap "Change Background". Step 7. Now select the "Screenshot" you made in step 1. Step 8: It will all appear deformed. You will need to rotate it so that it is useful. Double-tap the screen for the menu to appear and select the "Edit Background" option. Step 9: Tap the icon on the screen to rotate the image until it is in the ideal position center. Step 10: Now it's time to add the buttons. With two taps on the screen, click on the menu. Then tap the "Add Button" button and selecting the check positioning the buttons on the screen. In shooting games, for example, the right stick should be positioned in the center of the screen so that it moves the camera. Step 11: The chosen action buttons and positioned on the virtual buttons of the game, it's time to save the profile. Choose "Save Profile". Step 12: In the window that will open, select a name for the profile. Preferably, the name of the game. You can create multiple profiles and choose them by Sixaxis Controller, before starting the game. Step 13: Now just continue the normal process of pairing. If you have already configured the joystick with the first tutorial, call control by pressing the "PS" button on it. Step 14: Still in the Sixaxis Controller, select the profile of the game in the "Active Touch Profile" option. And voila, you can now play any game with your Dualshock 3 on Android.